Expand your digital horizons with the press that’s 2.5 times more productive than any other digital sheet-fed press on the market. Able to print on a 73.7-cm/29-inch sheet, the HP Indigo 10000 Digital Press gives you all the advantages of digital printing, with the capacity of an offset printer. From publishing to point-of-purchase displays, now you can do more. 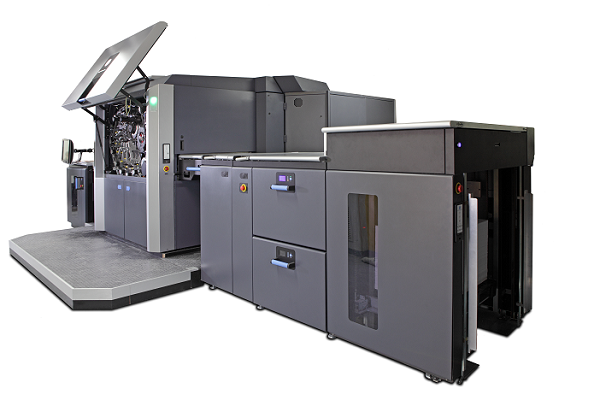 With the HP Indigo 10000 Digital Press, you’re no longer confined to the limits of traditional offset or digital printing. Efficiency. Palette feeder with laser guidance system enables nonstop printing. Versatility. Print on more than 3,000 certified substrates. Colour range. Use up to seven ink stations. Quality. Rely on the high-image quality you’ve come to expect from Indigo.